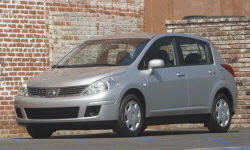 Nissan Versa Dealer Practices Pros and Cons | Page 1 of 1 | Why Not This Car? Nissan will send you all sorts of emails to bring your car in for its scheduled maintenance. Several dealers promised a "discount" verbally, and only after working with them did I discover they wanted to charge me full price in the end. 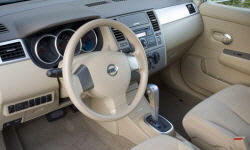 Do your price research online and agree with the dealer on a price by phone before you ever visit the dealer. Promised repairs were never delivered, reported problems were not investigated or blamed on external sources, despite the problems clearly being with the vehicle or its build quality. Tendancy for departments to "pass the buck" to each other. The dealer I bought the car from wont offer a rental if the need to keep your car, and refuses to use the shutle to take me home because I live 2 miles too far. Ill take my car to another dealer for service. They refused to haggle lower, including the manager. But they did give us a Z for two days for free to compensate for the time it took for us to get both vehicles.